HomePage > News > China Has Become the World's Largest Consumer of Upholstered furniture, who will be the leader of the future? 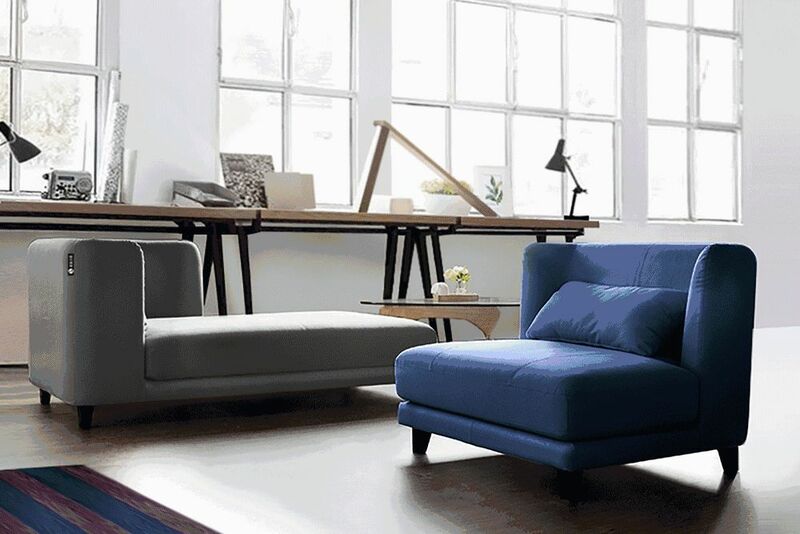 China Has Become the World's Largest Consumer of Upholstered furniture, who will be the leader of the future? China has become the world's largest consumer of upholstered furniture. In the future, with the trend of consumption upgrading and young consumers, the penetration rate and price of soft furniture are expected to continue to increase. It is expected to reach a market scale of 220 billion yuan in 2020. However, under the huge market volume, the domestic upholstered furniture industry market shows the current situation of low market dispersion and low concentration. Compared with the mature software industry in the United States, the market share of the top five brands in the mattress industry in 2014 is close to 80%; while the market share of the top five brands in the domestic market in 2014 is only about 15%. In 2015, the market share of the top three sofa brands in the United States exceeded 40%; in contrast, the market share of the top three domestic brands Zuo You, Manwah and Kuka Home totaled around 16%. Kuka and Manwah, already giants in the sofa industry, have targeted the mattress industry, which has a huge space for development and integration. It is understood that in addition to the standardization of the product itself, the mattress industry has low cost and considerable profit margin, and there is no category leader in the industry. If the sofa leading enterprise can integrate the mattress, it will affect and change the industrial structure of the soft furniture. Kuka announced that the company's operating income for the first three quarters was 6,392,960,577.87 yuan, an increase of 31.87% over the same period of last year. The net profit attributable to shareholders of listed companies was 785,540,604.79 yuan, an increase of 26.7%. In the steady advancement of multi-category and multi-brand, revenue growth reached expectations. In the first half of 2016 to the first half of 2018, Kuka Home's soft bed and mattress products accounted for only 12%, 14%, and 13% of the company's total revenue, while sofa products accounted for 61%, 59%, and 53%. Currently, Kuka Home's main source of income is the sofa. The mattress industry head company CIMEN focuses on the design, development, production and sales of high quality furniture with mattress as the core. The company has three brands: “CIMEN”, “Fa Shiman” and “SLEEMON”. CIMEN 2018 mid-year report data show that in the first half of 2018, CIMEN's total operating income was 1.844 billion yuan. In addition, Manwah announced a strategic partnership with Easyhome to create the Manwah “Thousand Stores Program”, which will grow steadily as the number of channels increases and stores expand. The transformation and layout of the two Upholstered furniture giants also means a new split in market share. At present, Upholstered furniture has experienced the whole stage of the single-item to Upholstered furniture layout, and the key period of the mattress industry has gradually shifted to concentration and integration.